Specifically, they’re a pair of Why Not Zer0.2s, Westbrook’s signature shoe. 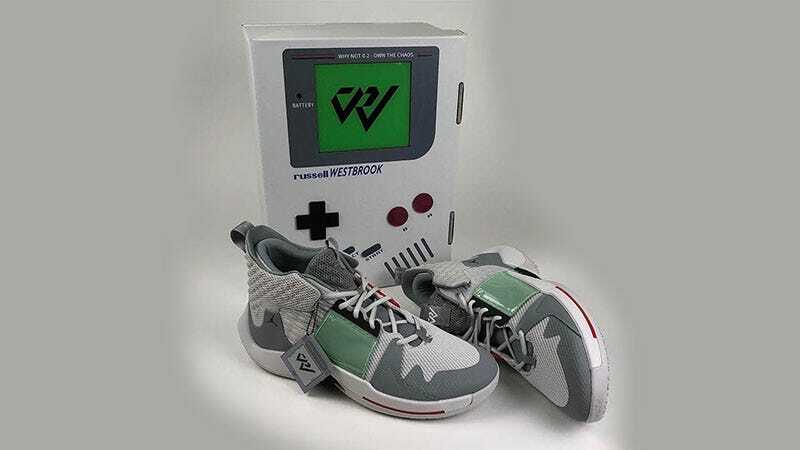 The sneaker itself is running with a Game Boy-inspired colour scheme, while there’s also a Game Boy cartridge hangtag and a Game Boy box, all courtesy of custom designer Recon Beat Lab. Because the Super Soakers made an appearance at a game (above), you’ve got to imagine the Game Boys won’t be too far off.